This is the third part in our series on how to use Google's tools to sell digital goods online. In the previous post, we discussed how to increase your site exposure using the Google Directory. This post will provide an overview of Google Analytics and how it can help you sell more downloads. Google Analytics is basically a website statistics program, much like any other website reporting program available out there that provide information on your site's visitors and how they interact with the web site. Anyone serious about selling online will likely already have such an application installed on their web site. If not, then Google Analytics should be setup in your site as soon as possible. Even if you are already running your own stats program, you should still install GA as it provides a much tighter integration with Google AdWords (which we will cover later). 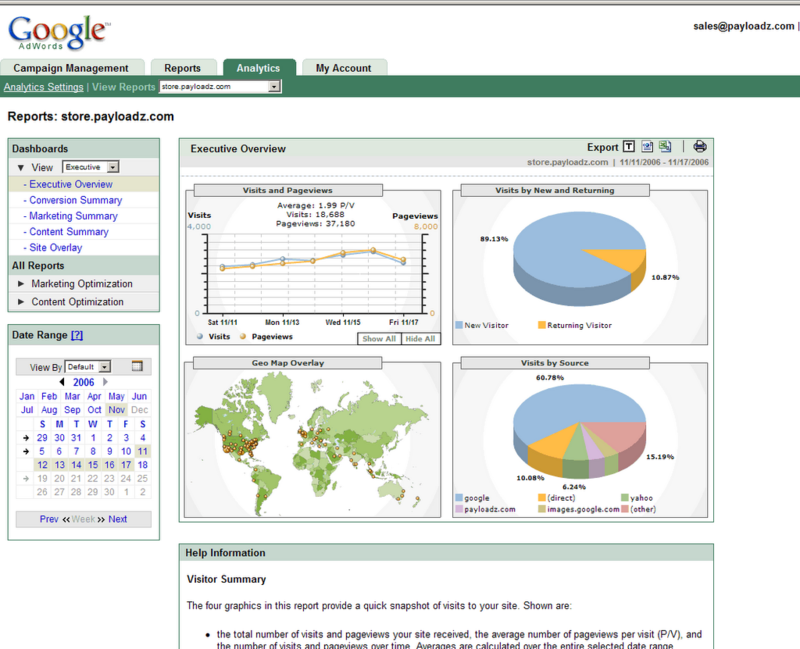 You can begin using this information to get an idea of how Google tracks your website visitors. Often, this will differ greatly from your own website statistics. I have not found an authoritative answer on which means is more reliable yet. I would think a statistics program analyzing log files should be more accurate, but I have not heard just yet. The main thing here is just to get Google tracking data for your site. In the later post on using Google AdWords, we will see the true power of the Analytics system in selecting keywords for your ads and tracking conversions.